Home Financial Crimes Investigations Division Mahinda Rajapaksa news Mahinda questions FCID report. Former President Mahinda Rajapaksa has questioned a ‘B report’ filed at the Kaduwela Magistrate’s Court by the police Financial Crimes Investigations Division (FCID) which has stated that he had invested large sums of money on a hotel in Dubai. The FCID has reportedly said that they have begun investigations into a complaint that a sum totalling USD 48 million invested in the Steel Corporation and a sum of USD 190 million invested in the Marion hotel in Dubai belongs to Mahinda Rajapaksa and that the owner of these properties, Nandana Lokuvithana, is only a front man. The B report states that the FCID had commenced this investigation on the basis of an anonymous letter which had been referred to them. 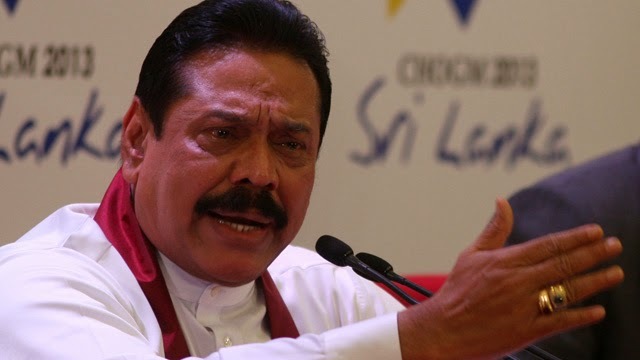 “The FCID has been set up with a view to harassing political opponents and the legality and propriety of the establishment of this unit is already before the supreme court,” Rajapaksa said in a statement. He said that it is very unusual for the police to report to courts that they are carrying out an investigation on the basis of an anonymous letter. “The FCID which functions as an extension of the UNP may have filed this B report to convey to the public the false impression that there is a ‘court case’ relating to concealed assets owned by me. With a parliamentary election in the offing, it would be useful for my opponents to spread such a perception among the public. This is yet another clever and insidious way of carrying out false propaganda against me,” he said. The former President said that he wants the public to know that the Steel Corporation and the Dubai Marion hotel belong to whoever owns them and not to him.